Jacqueline grew up on Hilton Head Island before relocating to Charleston, SC in 1999. She received her BS from the College of Charleston in Pure Mathematics and minor in pre-medicine. For Master of Science in Physician Assistant Studies, she attended the Medical University of South Carolina (2006-2008) where she made Dean’s List and was nominated for the 2007-2008 Presidential Scholar Program. She started her clinical research career in National Institutes of Health (NIH) research at the Medical University of South Carolina where she helped to validate the clinical applications of angiotensin receptor blockers in the treatment of hypertensive patients with metabolic syndrome and achieved publication co-authorship at a very early stage in her career. 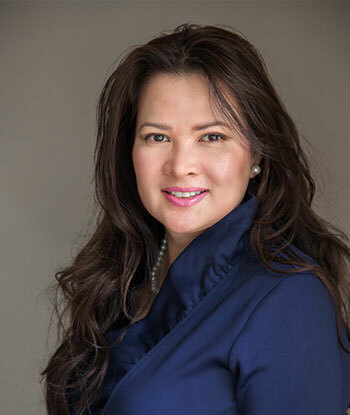 Jacqueline is a certified clinical research professional and an active member of the Society of Clinical Research Associates – Palmetto area chapter and the National Association of Professional Women. Since 2001, she has successfully managed phase I – IV clinical research trials varying from investigator initiated, cooperative group sponsored to pharmaceutical sponsored trials in Internal Medicine, Oncology, and Rheumatology. Her professional contributions and recognitions include: two research abstracts and peer reviewed articles in the American Journal of Hypertension, online research compliance modules development (which was implemented as annual training requirement of infusion and nursing staff on the Hematology/Bone Marrow Transplant ward and Hollings Cancer Center clinic), strong mentorship and development of diverged research staff, and outstanding aptitude for clinical research program recovery and growth in different research settings. In 2012, Jacqueline joined Low Country Rheumatology as Director of Clinical Research. With her passion for Translational Medicine and dedication to serving patients, she has been managing the daily operation of the Clinical Research Department, facilitating patient enrollment, directing research staff, and providing research consult while at the same time ensuring compliance with research processes so as to position Low Country Rheumatology and Articularis Healthcare Group as a site of choice for clinical research. In her free time, Jacqueline enjoys involving in humanity projects both locally and abroad, spending time with her family and friends, reading inspirational books, music and theater, and all outdoor activities.